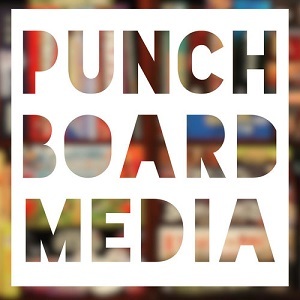 'In Focus: Perspectives in Board Gaming' is an exclusive series from Punchboard Media that spotlights diverse perspectives across the board gaming industry. Our guest this week is Catherine Stippell, designer of Nyctophobia, coming later this year from Pandasaurus Games. The interview was conducted over email by Eric Buscemi. Thanks for taking the time to talk to me, Catherine! Before we get into your game designs, tell me a bit about the kind of games you like to play. What are some of your favorite game mechanisms? How about designers? What have you been playing recently? Of course! I love co-op games and small box games that I can carry around in my backpack. In terms of mechanics I really love deck builders and games that grow as you play such as the flowers in Lotus and the trees in Kodama or the out-breaking diseases in Pandemic. Recently, I've been enjoying Above and Below, Sentinels of the Multiverse, and Legend of Korra: Pro-bending Arena. You have a design called Nyctophobia that is being published later this year by Pandasaurus. What exactly does Nyctophobia mean? Nyctophobia is the fear of the dark or night. Your idea for the design of Nyctophobia comes from a personal place. Tell us how the game plays and what it was that made you decide to design it. I got the idea for Nyctophobia because I have a blind uncle. Once I started getting into gamming, I'd bring games when we visited family. For my uncle to play, the game had to be modified in some way. So I decided I was going to make a game that he could play without any sort of modification right out of the box. What if the tables were turned and we as sighted people had to adapt? The way I did this was to make the players wear black-out glasses. In Nyctophobia players play as either a group of friends being chased around a dark forest in search of their car to escape or the crazed hunter trying to get you before then. The Hunted players wear the black-out glasses and can only navigate the board through touch. On their turn, they have to move around hoping to find the car piece, which has its own unique tactile feel, while avoiding the Hunter. The Hunter on the other hand is controlled by a deck of cards and is trying to attack the Hunted players. Either one of the Hunted players will die leading to a win for the Hunter or the Hunted will make it to the car and pull out a win. How did the design of the game evolve from conception to the completed game design? What were the hardest parts to get right? As a tactile game, while designing and improving the mechanics of the game I also had be improving the physical pieces. On the physical side, I went through a cardboard board, two wooden ones, and two 3D printed ones. The hardest physical part of the design was getting the right design for the trees. For a long time I had very short trees that are meant to block your path and stop you from feeling further. They were far to short and swung around if you pushed them. The only feedback I got from playtests was the problem with the tree pieces, so I had to find a better version before I could even get working on mechanical changes. Finding the right balance of the physical side and the mechanical gameplay side dictated most of the early playtests. In terms of actual gameplay, the hardest part to get right was the Hunter role. The Hunter is the only player that can see the board and thus has a massive advantage. To mitigate that advantage the Hunter started off as an overseer rather than a proper player, with the Hunter piece being controlled with specific rules. It's fun to watch people fumble around, but the Hunter needed more to do. So finally I added a deck of cards to restrict the Hunter in what they could do but still give them some thought as to which card to play. There's still a lot of wiggle room for how mean or nice you want to be. Play a card and end the game right now, or do you decide to play a card to taunt the Hunted for a couple more turns. You brought Nyctophobia to Unpub to help playtest it. How was your experience at Unpub? Would you recommend it for other designers? How about people that like to play games? Unpub is amazing. It was the first convention I had ever gone to and it's now a highlight of my year. Being relatively new to the hobby and the community it was a great place to meet so many awesome people. As a designer, I've gotten great feedback from playtesters and was able to pick other designer's brains. As a player, I love being able to help out other people with their projects. The tables at Unpub are for half days, so even as a designer I've been able to go and play other designers' games. How did you get Nyctophobia signed by Pandasaurus Games? What's your experience been like working with them? It was actually at Unpub when I met Nathan from Pandasaurus. He had been watching a couple games, drawn over by the black-out glasses. After playing a game, he said he wanted to sign it. Working with Nathan and Molly and everyone that's been involved has been really great. Their vision for Nyctophobia really followed my own. I'm really excited for all the work that's gone into Nyctophobia. Nyctophobia is being released at Gen Con this August. Will you be there for the Nyctophobia release? You have another design called Foliage. Are you still working on that one? How does it play? Foliage is a friendly game of caterpillar carnage. It is a 36 card dexterity game where each player controls a caterpillar. Each card represents a leaf that it floating through the wind and your caterpillar is trying to eat the best tasting leaves. You can toss out new leaves into the play space or rotates some leaves to move them around trying to make your caterpillar eat leaves or send your opponents out of the play area. Then the game will end once someone has eaten a number of leaves based on the player count. And the payer with the most tasty leaves will win with their caterpillar becoming the most beautiful butterfly. Before we finish up, is there anything else you'd like to tell us about you? Any hobbies or passions? I'm currently in college working toward a degree in Biomedical Engineering. I'd really like to figure out a cool game that involves something relating to that.